When Is the Best Time to Buy Jewelry? Diamonds can quickly change from a girl's best friend to her worst nightmare. By timing the purchase just right, you could end up with a token that gives you great joy ever day and not a financial heartache. It doesn’t matter how irresistible that pair of earrings, tennis bracelet, or wedding band looks through the shiny glass case. If you or your significant other buys it without having the funds to cover the cost when the bill comes, the interest charges on that pricey gem will add up month after month. This doesn’t mean the jewelry of your dreams can’t be yours one day. Did you know: You can save over 40% by buying a diamond engagement ring online? 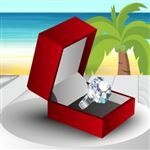 Read our analysis on the best places to buy engagement rings online. January is the month to take advantage of the post-holiday sales, but chances are you don’t have the money to put down for new jewelry. February ushered Cupid into the homes, hearts, and wallets of consumers, when deals on jewelry are not necessarily their best. But March stands out as the perfect opportunity to get a great deal on jewelry since the shopping and gift-giving mayhem has blown over. While you may not see a sale on every corner, buyer power is at an all-time high because of the decline in customers coming into the stores to make a purchase. If you didn’t get a chance to pick up your bling in March, try again in May after Uncle Sam collected his taxes and is giving out refunds. You should be able to find a good deal during this window because retailers know many Americans have some extra cash in their wallets. And retailers may be especially eager to make a deal if their Mother’s Day sales did not live up to their expectations. These two months are also rather slow for jewelers since consumers are focused on wrapping up the summertime fun and preparing for the upcoming school year, but not on decorating their necks and fingers with shiny objects. Look for price reductions on items throughout stores, ranging from 15 to 40 percent off. Where is the Best Place to Buy an Engagement Ring? Don’t forget about the clearance items. We’re not just referring to the advertised sale items in the weekly circular but the actual clearance section in the department stores, such as J.C. Penney, Macy’s, and Dillard’s. And if you can pair your item with a coupon, you could easily save up to 75 percent off the original price. If there’s one in your area, look for price reductions of up to 50 percent on fine jewelry throughout the stores. Many of the jewelry outlets like to send out coupons to their email subscribers and regular customers, giving you a bigger bang for your buck. With gift-giving seasons come increased demand and prices, so avoid the busier shopper periods around Valentine’s Day, Mother’s Day, and Christmas. The exceptions to the rule are Black Friday and Cyber Monday. For diamonds: Online retailers such as Blue Nile, James Allen, and Whiteflash are worth considering. We like Blue Nile for their wide selection, James Allen for their 360 degree photos, and Whiteflash for high-end diamonds. Tip: Thinking of buying an engagement ring? Read our guide on how to buy an engagement ring. For second-hand jewelry: I Do Now I Don’t is an online retailer that comes to mind. It offers great values on second-hand fine jewelry, and its story is quite unique. 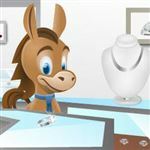 It gives jilted jewelry givers a way to sell their regretted purchases (return policies at major jewelers are not very forgiving) and get back some of their investment. Regardless of which online retailer you use, confirm the website is legit and that all diamonds are certified by a licensed gemologist. You may possess a wine taste on a beer budget, so enjoy the shopping experience, but let your wallet be your guide. You’ll be better off in the long run if you stick to how much you can afford (remember the warning about interest charges!). Buying an engagement ring is a big decision and not just because of the cost. Whether you're looking for value, a huge selection, or sheer luxury, here's a list of the best places to shop for a diamond. Prepare to spend around $2,300 on your wedding flowers. Even if you plan to DIY your flowers, it's the flowers themselves that are costly. Share on Facebook "Best Time to Buy Jewelry"